Tesla is yet to start deliveries of the Model 3 in Europe, but the electric car maker is already making the necessary preparations for the vehicle’s upcoming arrival. Across the region, for example, Tesla is expanding its CCS Supercharger Network, which is specifically designed to support the Model 3. 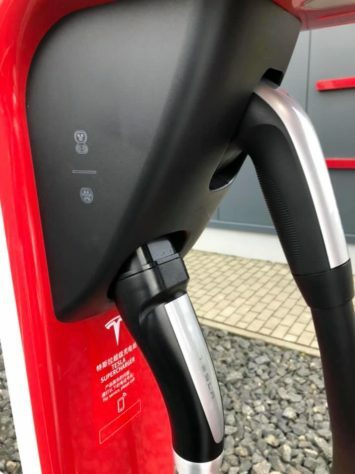 Several members of the Tesla community across Europe have shared images of the dual charge stations being installed in multiple locations as well, further suggesting that Tesla’s CCS Supercharger ramp is well underway. 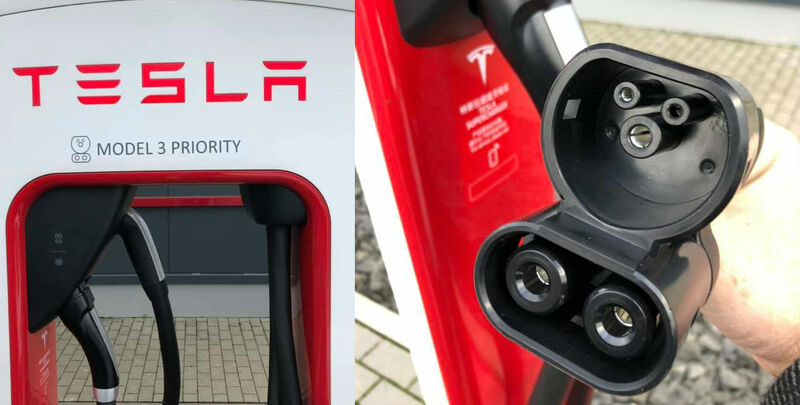 As noted by Tesla in a previous statement, the first dual charge CCS charging stalls were set up in the Badhoevedorp Supercharger near the Corendon Village Hotel, just outside Amsterdam last month. Tesla installed eight additional stalls on the site, each one equipped with both a Type 2 and CCS plug. 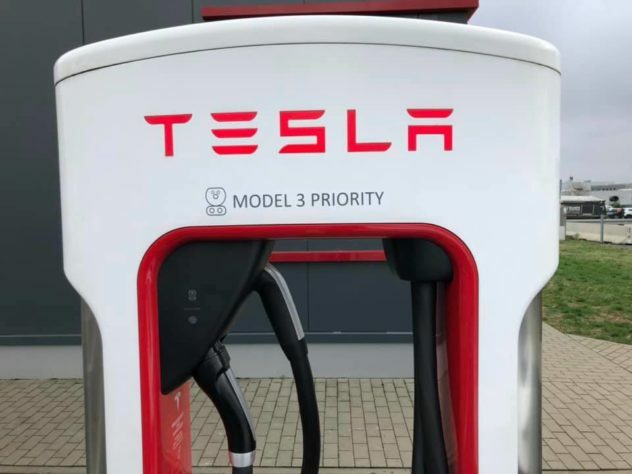 The electric car maker noted that the CCS stalls are compatible with the Model S, 3, and X, though images of the chargers themselves list the stations as “Model 3 Priority.” Tesla further noted that the existing Supercharger Network in Europe would be retrofitted with the dual charge setup in the near future. 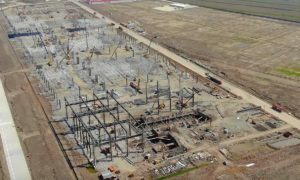 In true Tesla fashion, Tesla has not let up on its efforts to expand its CCS Superchargers in the region. 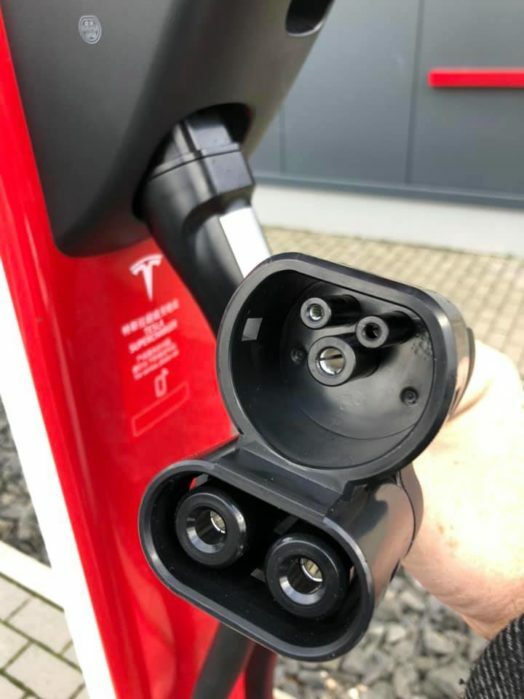 Earlier this month, images of the first CCS-compatible Supercharger stall from Norway was shared on Reddit. Tesla owner enthusiast and longtime YouTube host Bjorn Nyland even featured the newly installed dual charge stations in one of his videos. 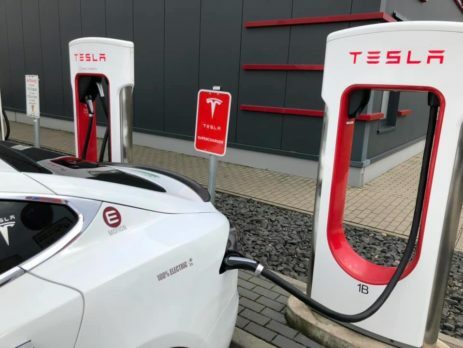 In social media platforms, Tesla owners from Germany have also reported sightings of the newly-updated Superchargers being set up — an indication that Tesla is preparing for a massive influx of Model 3 in the region. Unlike the Model S and Model X — both of which are fitted with a Type 2 port — the Model 3 is equipped with a CCS port. The company’s adoption of CCS stands as a significant step forward for the electric car maker, considering that the standard is prevalent in the region, being preferred by notable European automakers such as Volkswagen, BMW, and the Daimler group. CCS combines a Type 2 design, which is utilized for slower AC charging at home or work, as well as two DC pins at the bottom for fast charging. 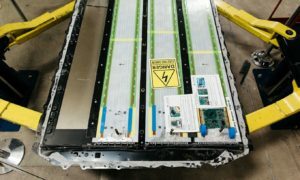 By adopting CCS for the Model 3, Tesla is all but laying the foundations for a massive charging infrastructure that employs one of the most popular standards in the region. This, of course, presents some advantages for the electric car maker. Considering the wide reach of the Supercharger Network, Tesla could open the doors to its charging infrastructure to other automakers, providing itself with a potentially lucrative source of revenue. 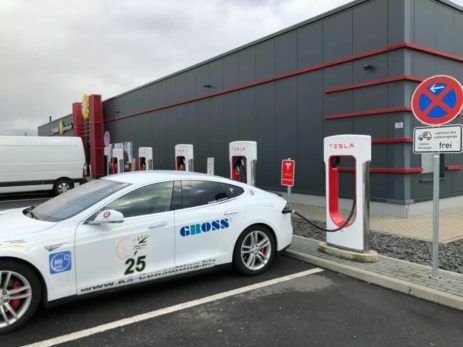 This was something that was referenced by Tesla Head of Global Charging Infrastructure Drew Bennett in an interview with Auto Express UK, when he noted that several electric car companies have already reached out to Tesla about the idea of using the Supercharger Network. “We’re definitely open to talking to other car manufacturers who want to have access to the network. Capacity is a driver for our investment; it’s new routes, new markets and then capacity. A lot of car makers have spoken to us about it, but we haven’t had any conclusive discussions on it. 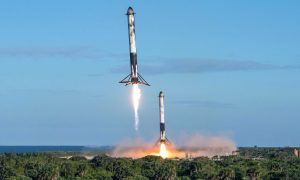 They’re still trying to figure out what they would need in a network, but we’re a couple of years ahead of them in terms of embracing the investment required to transition to EVs,” he said. As Tesla’s CCS Supercharger ramp continues, thousands of Model 3 are already being shipped to Europe from the United States. Local news reports suggest that Tesla is aiming to ship 3,000 of the vehicles every week for the region. 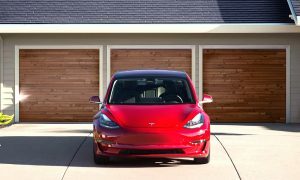 For now, though, there is practically nothing that could stand in the way of the Model 3’s eventual saturation of the European market, especially considering that regulators recently granted homologation approval for the electric sedan. 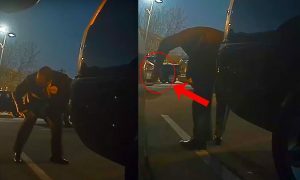 Watch Bjorn Nyland’s video on Tesla’s CCS Superchargers in the video below.